Taste of Chaos tour is back for the first time since 2009. The tour will kick off in Chicago, IL on June 3 and close in San Bernardino, CA on July 16. The lineup features Dashboard Confessional and Taking Back Sunday. 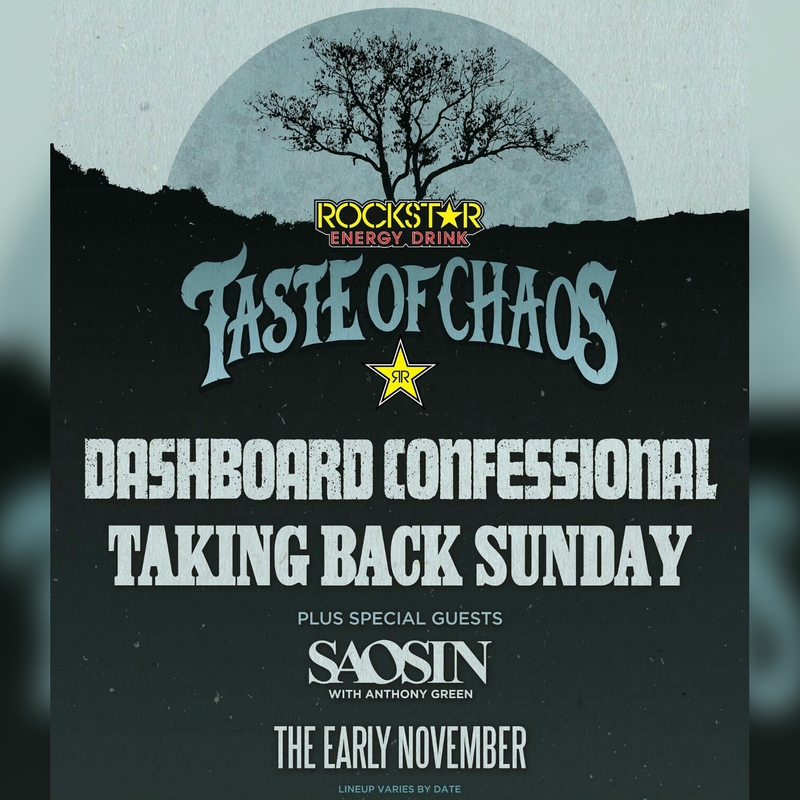 The tours special guests are Saosin with Anthony Green and The Early November. The lineup for this tour varies by date with one-night only performances by special guests.The Holmdel, NJ show on June 17 will feature a one-night only performance by Saves The Day, Wantagh, NY on June 18 will feature a one-night only performance by Motion City Soundtrack and Philadelphia, PA on June 19 will feature a one-night only performance by The Starting Line. Tickets will go on sale starting Friday, March 18 at 12 noon. For more information or to purchase tickets to the Taste of Chaos Tour, please visit tasteofchaos.com.